Christine Cecelia Wilson James transitioned to Glory peacefully surrounded by loved ones on January 18, 2019, at about 4:07 p.m. EST. At her time of death, she lived in Alpharetta, Georgia. A Memorial Service will be held on January 26, 2019, at 2 p.m. at the Hominy Indian Village Chapel with a reception to follow. Christine was born to Ruby Webb Wilson and Charley Harry Wilson on June 11, 1933. She is preceded in death by both her parents Ruby and CH Wilson, sister Mary Katherine Wilson, brother Charley Harry Wilson and brother Richard Donald Wilson. Her greatest joy in life was spending time with her children and grandchildren that she loved deeply. She is survived by her brother John Paul Wilson and her children: Elda Cecelia Childers Watts (Walter Watts), Elizabeth Ann James Kesseler, Rhonda Marcelle James Carter (Mike Carter), and Thomas Patrick James. Grandchildren: Tony Watts, Christopher Davis, Marcus Kesseler, Marshall Kesseler, Zachary Carter, Grant Carter, Grace Carter, Abigail James and Jacob James. Four great-grandchildren and several nieces and nephews. While attending Hominy High School, Christine fed her joy of fashion by working at Ms. Gravit’s Retail Shop in Hominy. Christine was the Hominy Buck Queen in 1952. After High School, she worked at Hominy Hospital as a Nurses Aid. Christine fostered her desire to care for others by working as a Nurses Aid at Hominy Hospital. She applied those skills in caring for her grandma Elda Cecelia West. While at Hominy Hospital she met Frank Marshall James, M.D. The two took a liking to one another and then wed. They made a home in various places after beginning in Hominy: Bartlesville, Oklahoma; Norman, Oklahoma; Enid, Oklahoma; Mountain View, Arkansas, and Jonesboro, Arkansas. Christine attended St. Mary's in Enid where she obtained her Bachelor’s of Science in Nursing in 1971 and worked for many years as a Registered Nurse. 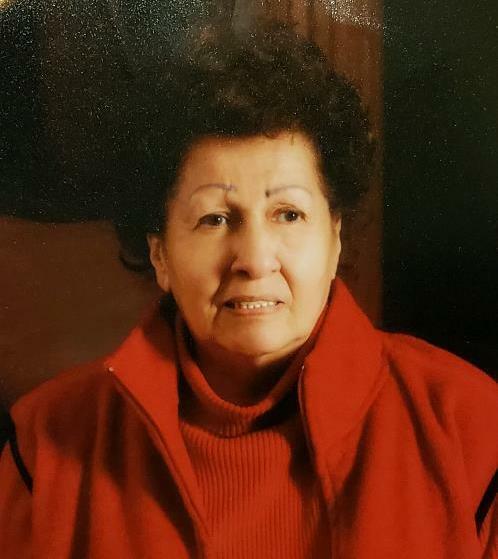 She worked in various roles as an Emergency Room Nurse, Psychiatric Nurse, Orthopedics, Urology, and supported Home Health care and Children's care. Christine always stayed in contact and supported the Friends Church in Hominy. She was a member and attended various local churches of her residence. Christine enjoyed various interests including, but not limited to: spending time with her children and grandchildren, fashion, sewing for her children, music and movies (Elvis and John Wayne), buttered popcorn (with extra butter! ), she was definitely a foodie, banana popsicles, working in the yard, traveling to Hawaii (Book’em, Danno! ), studying the bible, listening to biblical prophecy (e.g., George Noory and Art Bell). Special thanks to her daughter Rhonda, son-in-law Mike, grandchildren Zachary, Grant, and Grace; and, to Arbor Terrace Crabapple and Kindred Hospice who provided excellent, loving care for Christine.